A fun and easy applique pattern to brighten up your wall! 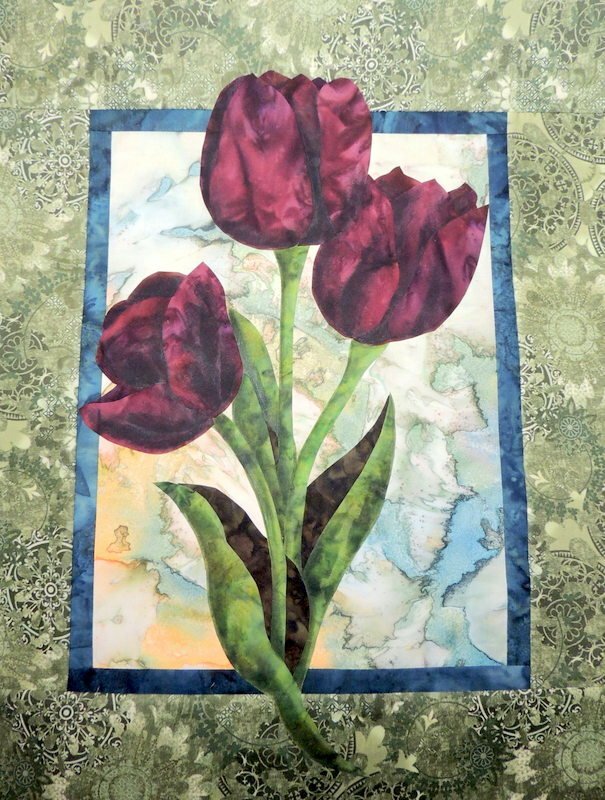 This pattern includes instructions and all placement guides to help you create your own Spring Bouquet of tulips for your home, or to give a gift of flowers that will never wilt. 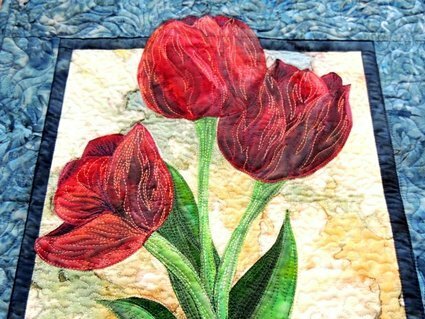 Interested in playing with watercolor pencils, fabric paints, or thread painting? This pattern is also an excellent canvas for exploring how to add shading and shadows to your work! Finished size of the wall hanging is 16" x 20 1/2"